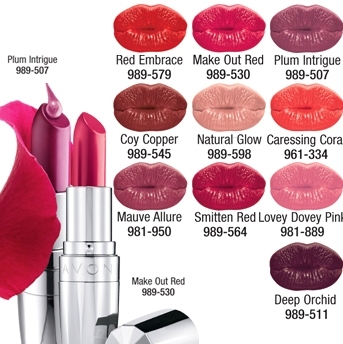 If you are looking for a Mother’s Day gift, check out AVON’s latest innovation breakthrough, the Totally Kissable Lipstick. This totally Kissable Lipstick instantly boosts lips’ moisture levels by more than 100%, conditioning and smoothing your lips for a perfectly flirty look. Meanwhile, as part of AVON’s Kiss Goodbye to Breast Cancer survivorship program, AVON also introduced its latest Prosthesis Bra with very soft and comfortable materials. A moisturizing lipstick that delivers a multi-sensory experience. Totally Kissable is infused with a tantalizing blend of natural oils and fruit enzymes and saturates lips in conditioning, rich color that smells and tastes as luscious as it looks. Its chic, multi-faceted silver packaging accessorizes your vanity, while its hydrating formula enriches lips with silky soft shades for any occasion. Infused with fruit enzymes as well as lush Avocado and Coconut oils, new Totally Kissable Lipstick instantly boosts lips’ moisture levels by more than 100%, conditioning and smoothing your lips for a perfectly flirty look. Available in 10 shades, the full coverage, conditioning formula leaves lips kissably soft and visibly fuller.